I hope this message finds you planning and excitedly preparing for the holidays. I know how hard you have worked during this half of the school year both inside and outside your classrooms. As always I am very impressed by the time and effort that you expend to educate the students of Farmingdale. Although it's almost unbelievable how quickly the holiday season has come upon us, you definitely deserve the few days of rest and fellowship with your families and friends. As I reflect, we have been very active this school year as we show what true unionism is and support one another. Whether it was getting the NO vote out for the ConCon or during this continued time of an expired contract. I know it hasn't been easy and that morale is not as it should be, but you have demonstrated your willingness to show your activism and to keep our union strong. 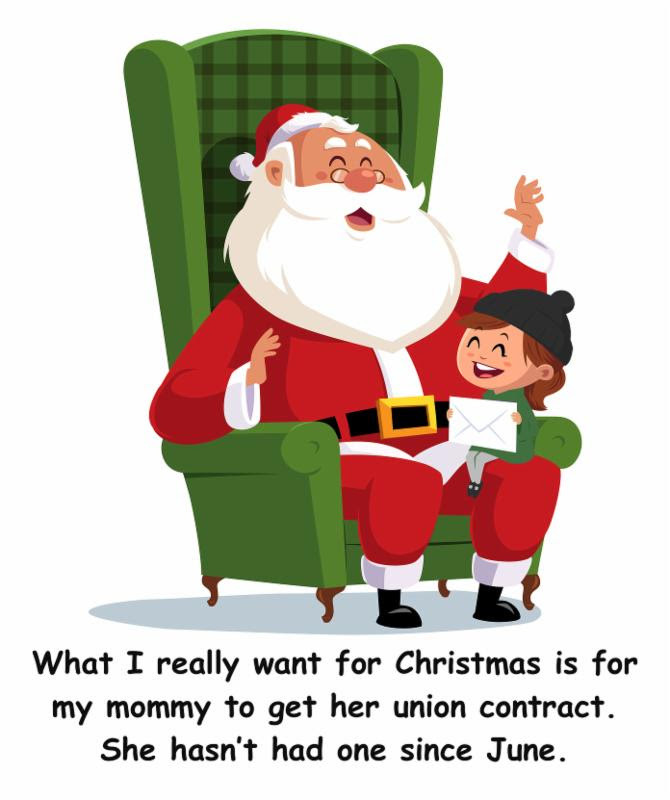 We need to vow to not let the strong dedication to the union wane. As we celebrate the holidays, let us make sure we also remember those that aren't as strong and who are less fortunate. Our multiple acts of public service provided contributions to the local food banks and will surely help in providing a nourishing meal to others during this season. On behalf of the FFT Officers and your building representatives, I would like to wish all of our members and their families a very happy holidays and I look forward to continue to work in solidarity with you into 2018. It will also be the start of our goal to honor our union chartering in 1968, 50 years FFT strong! I will continue to come and visit your buildings, use this digital newsletter, our new website, and our social media platforms to keep you informed.